"Comfort, give comfort to my people, says your God." Pope Benedict XVI . . . invite[s] all Christian married couples to be “the gentle and smiling face of the Church.” There is no greater way for couples to achieve this than to joyfully open their marriage to the gift of life. In our secular contraceptive culture, it is assumed that a married couple will, as a matter of course, avoid pregnancy. Only for very narrow windows of time does a couple welcome the conception of a child, if they do at all. Contrast this with the Catholic marriage that makes openness to life the default position. . . . The greatest benefits of NFP, however, do not necessarily lie in its usefulness to achieve or avoid pregnancy, in its safety or even in its ecological benefits. An often forgotten feature of Natural Family Planning is that it strengthens both the spiritual and emotional aspects of marriage. Read entire article. Click here for more NFP Awareness Resources. Find local NFP practitioners and instructors at prolifedallas.org/nfp. "What the Church Teaches about Faithful Citizenship"
Polls open 7 a.m.-7 p.m. Click here for locations. Catholic resources for faithful citizenship available at faithfulcitzenship.org. Read Bishop Farrell's teaching statement on voting here. A part-time Director position for the CPLC Civic Action Ministry is currently available for 5-10 hours per week (including occasional weekends). The position is open for a volunteer or with a modest stipend. The primary objectives of the Civic Action Ministry are to advocate for pro-life legislation, train grassroots citizens in effective advocacy, and provide voter education. The Civic Action Ministry develops and implements strategies for accomplishing these objectives primarily through public education and interaction with elected officials. Click here to review complete job description. A young woman has died after having a second-trimester abortion at a Chicago-area Planned Parenthood clinic. 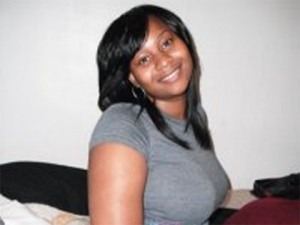 Tonya Reaves, 24, died late Friday night, according to a local CBS television station, of hemorrhage, with a cervical dilation and evacuation, according to the medical examiner’s office following an autopsy after the abortion that claimed her life. . .
“It happened so fast. She was just fine one day and then the next day she was gone. We’re just trying to figure out what happened… what happened,” she said. Read entire article. Yesterday, Daniel Cardinal DiNardo heralded the inclusion of the Abortion Non-Discrimination Act, and key provisions from the Respect for Rights of Conscience Act, in the appropriations bill for Fiscal Year 2013 of the House Appropriations Subcommittee on Labor/HHS. These measures would strengthen the right of health care providers not to provide for abortion, and would protect religious entities [from] those parts of [the Affordable Care Act] they deem objectionable. Continue reading.